(CNS): The chief justice will begin hearing challenges by the Elections Office to the nomination of Mario Rankin to stand as a candidate in Newlands on Thursday, while those relating to Alric Lindsay and Nickolas DaCosta will now take place on Tuesday after the senior judge granted an adjournment to allow attorneys representing the would-be candidates time to prepare. The delay to the cases, which are now being heard in an open court, is adding to the time pressure for the Elections Office, which has not been able to print the ballot papers for three constituencies, even though the postal ballots are set to go to voters tomorrow. 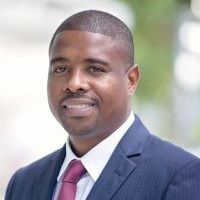 Supervisor of Elections Wesley Howell said that ballot papers for 16 of the 19 constituencies have been printed, but because of the challenges the papers for Cayman Brac West and Little Cayman, George Town South and Newlands have not, even though the office has had postal applications from every constituency. He said that the postal ballots will be sent via express mail but the window of opportunity that voters in the impacted districts have to turn around their ballot papers will be tight, even with speedy decisions from the courts. With just six weeks to go before Election Day itself and five weeks until mobile voting starts, the Elections Office is short of time but is obligated to follow through on challenges when they are raised. Both Lindsay, who is running in GTS, and DaCosta (CBWLC) are facing issues relating to status, citizenship and residency, while Rankin is facing a challenge regarding an alleged criminal conviction. Most of you need to know the facts surrounding these candidates before blowing your big mouth talking what you don’t know. These three persons should not be allowed to derail or set back the election for all of us. They should have done their homework beforehand and sought legal advice before Nomination Day.It used to be that postal ballots were sent out six weeks before Election Day and should be done the same way this time. Those whose papers are in doubt should be left of the ballot papers. GO NICKOLAS DACOSTA. Aldens challenge is a joke!!! Can anyone confirm whether or not all candidates are in fact Caymanian? How pathetic!!! These candidates are holding up he process for everyone else. Goes to show that it’s all about them. If they’d actually been on island and leading over the years these delays wouldn’t take place. Agreed with 6:46pm. This only allows them time to backdate documents and resignations etc. But if it was you you would want to have your challenge sorted out regardless of the delay. How about suggesting that the JP’s in Cayman Brac deal with this instead of the Chief Justice in Grand CAyman!!! I wouldn’t run unless I was qualified. If a person doesn’t meet the requirements it’s simple. Don’t run! We are rooting for you Alric. Allowing time for the candidates to tie up their loose ends. Another whitewash in Cayman.